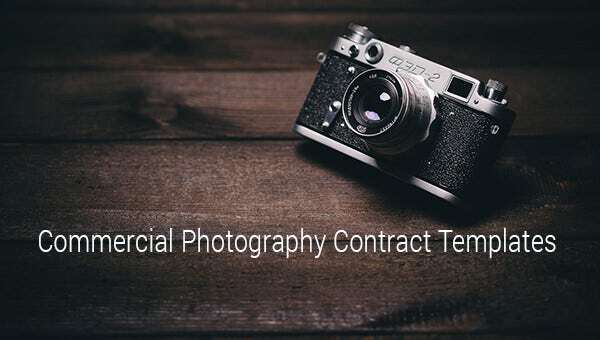 7+ Commercial Photography Contract Templates – Free Word, PDF Formats Download! People are going to hire you often if your work of art appeals to multitudes. 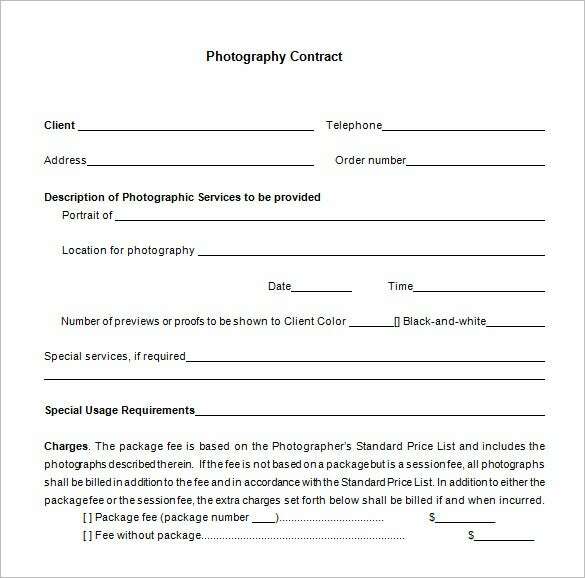 Once you create a good impression, people will want you to work on their photo project, usually during different types of Events. 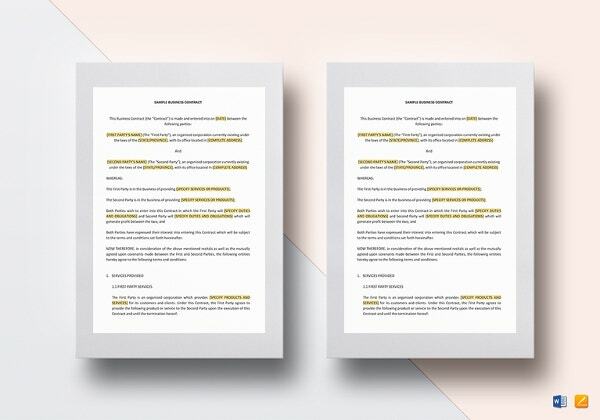 But how do you know that a client is serious about hiring your service? 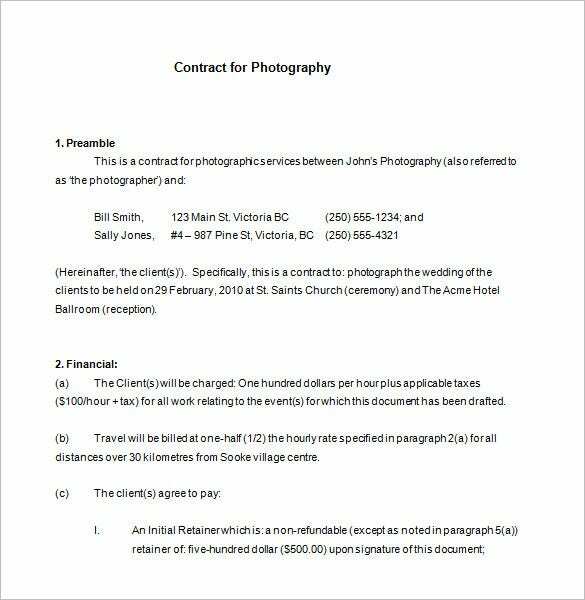 There is one simple way, signing a photography job contract Job Contract Templates. 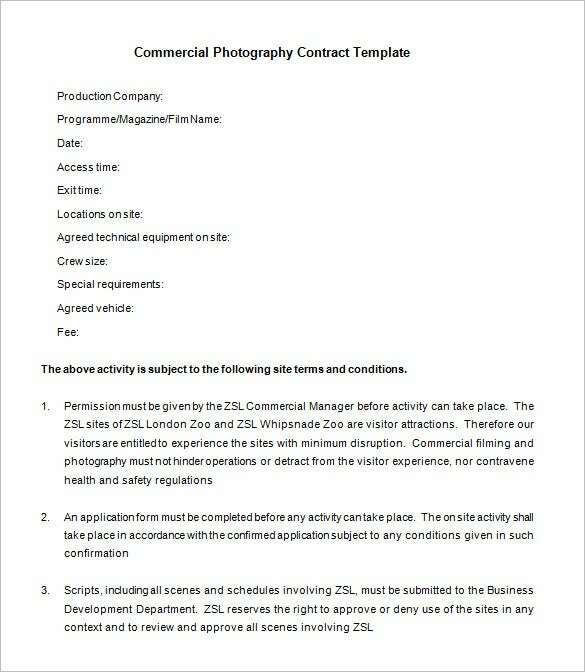 The contract will be an agreement between you and the client stating that you are willing to deliver the service under conditions specified, and can be written on Commercial photography contract template papers. 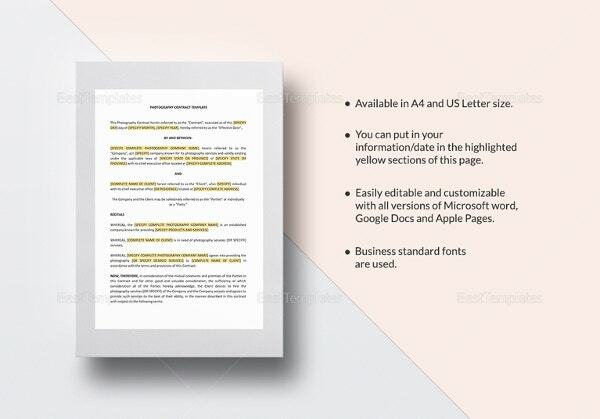 The contract should be clear, easy to understand and be friendly to the client as well as you, the service provider. 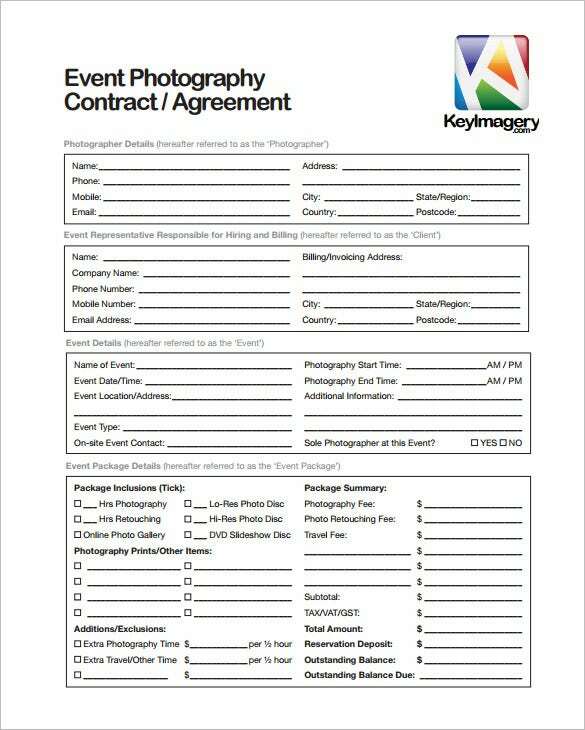 You may also like Event Contract Templates Forget about pens and papers for now. 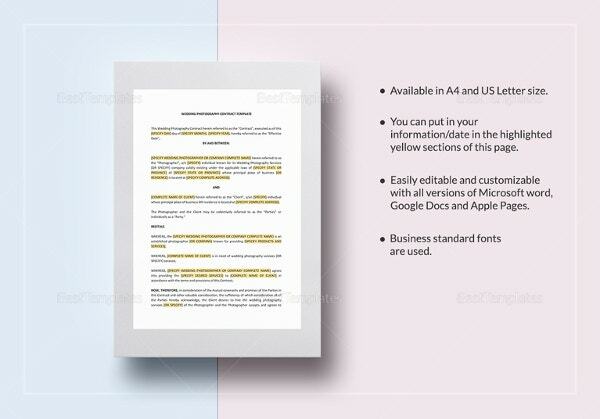 Simply browse through each of the sample contract template below and pick one you can use to write the contract. 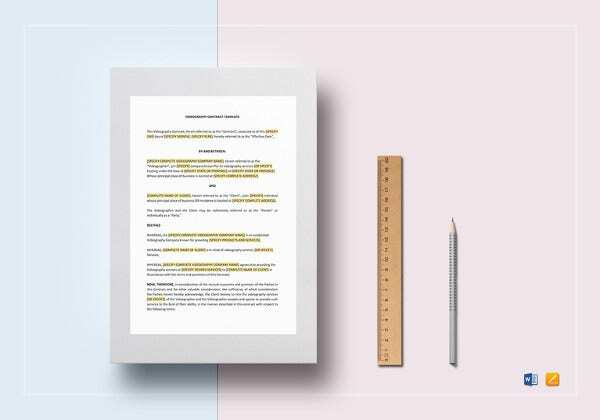 Save time, write less, and get into more contracts with the same blank employment Contract Template.